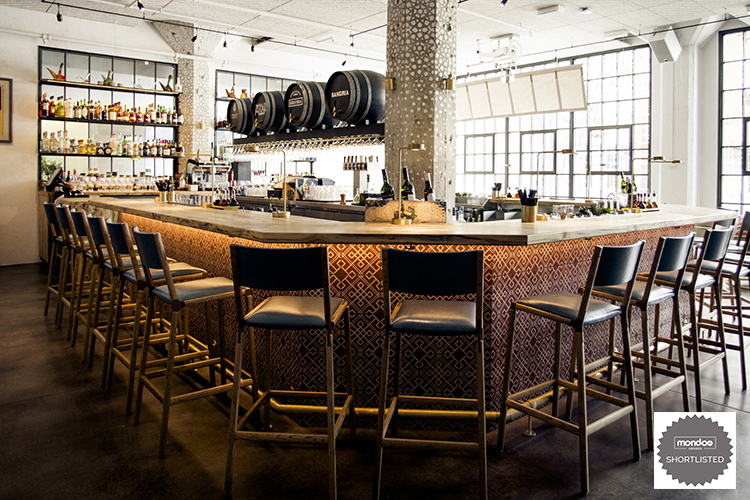 Noted as The Absinthe Group’s “biggest” and “best” restaurant by the San Francisco Chronicle, Bellota, the elegant new Spanish restaurant in San Francisco is said to celebrate Spanish cuisine in a “very vibrant way.” Designed by Sagan Piechota Architecture, the restaurant’s rustic craftsmanship and elegant sound transforms the 5,400 square-foot space into a welcoming, and refined atmosphere. 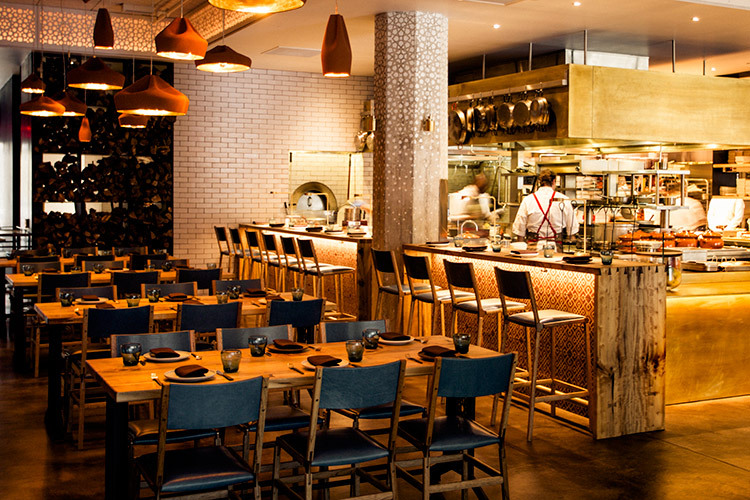 Because sound was a priority, Bellota installed a Meyer Sound Constellation acoustic system, which is leading the industry in providing creative solutions to restaurant noise. Constellation is a key component in the design of the Spanish-inspired Bellota, located in San Francisco’s popping SoMa district. 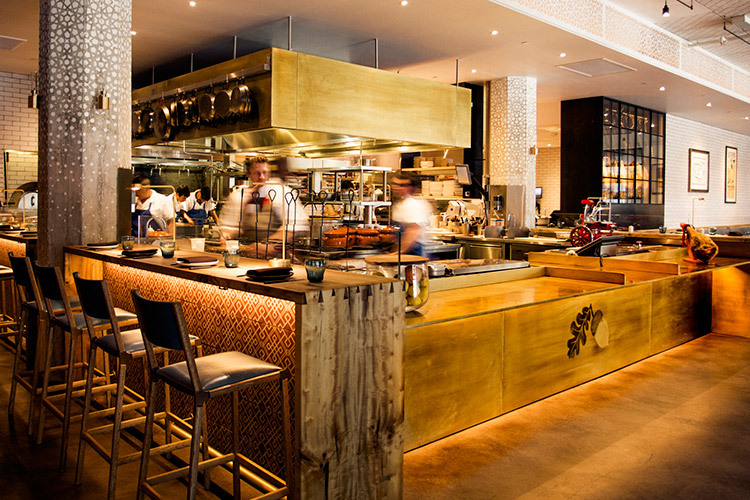 The 170-seat restaurant is built in an airy former warehouse space where diners can observe Bellota’s acclaimed executive chef Ryan McIlwraith making paellas and grilled meats in an open kitchen. At the heart of Bellota’s Constellation system is a D-Mitri digital audio platform housing the patented VRAS acoustical algorithm, which works in conjunction with 24 miniature cardioid microphones, 34 UP-4XP loudspeakers, and 12 MM-10XP subwoofers. 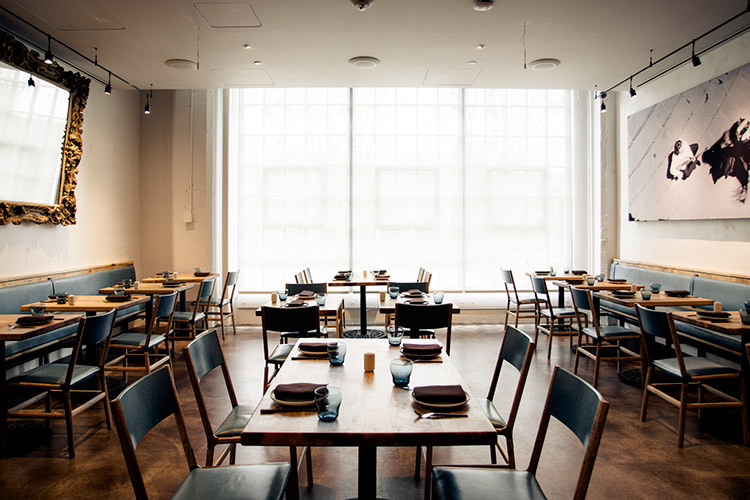 Six Stella-8C installation loudspeakers cover the private dining room, where a sound-absorptive Libra acoustic image system bearing a photograph of flamenco dancers reduces reverberation. In the lounge, a system of two UP-4XP loudspeakers and one 500-HP subwoofer provides sound reinforcement for live music played on a grand piano, which is also distributed at appropriate volume levels throughout the dining room via Constellation.